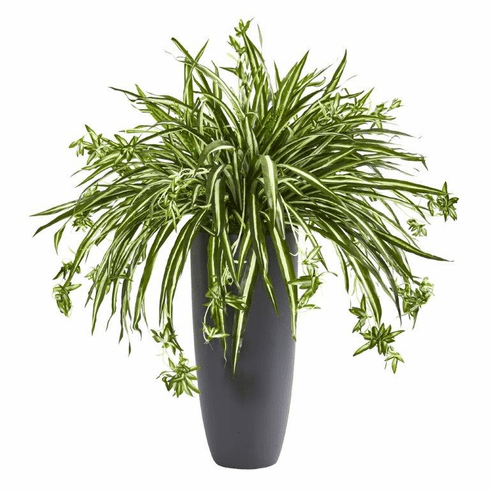 With green and yellow spears of foliage creeping out of the included cylindrical vase, this artificial spider plant is a perfect addition to almost any office and living space. Attractive and relatively compact in its slim container, put this spider plant by an end table or desk with smaller artificial flowering plants. Size (Including Pot) Height: 33 In., Width: 30 In., Depth: 30 In.